Seven months after he was arrested in Austria and two years after he resigned from the top government position, former Croatian Prime Minister Ivo Sanader has been extradited to Zagreb. Late on July 18, around 10 pm local time, Sanader was taken to Zagreb prison Remetinec where, in order to prevent his hiding, he is facing one month in custody. Due to high security measures, he was extradited by car instead of a plane, so that the route from the custody in Salzburg to Zagreb could be easily changed. In Zagreb he must have received a warrant for one month detention for his flight in December last year, and in order to prevent him from influencing the witnesses in the so called Fimi Media affair, where he is the main defendant. Sanader is pressed with charges for abuse of power and money siphoning of some 80 million kuna (10 million euro) from ministries and state-owned companies, via the privately-owned Fimi Media. This was the reason for his arrest in Austria last December, just a few days after he had left Croatia. Before the arrest he denied that he had escaped, but while in custody in Salzburg he insisted not to be extradited as, he in his words, a political process against him was going on in his country. In the beginning of June, however, he withdrew his appeal against the court decision to be handed over to the Croatian authorities and explained his reasons in a letter. “As in the last few days my name has been used in negative connotations regarding the country’s EU accession talks, I would like to make it clear that Croatia deserves to complete the accession negotiations as soon as possible. Croatia is mature enough for membership and I see the end of the talks, as the end of a process I started several years ago. This is why I decided to ask the court on June 21 to be immediately extradited to Croatia, from where to be taken to court and to denounce all the lies that have appeared in the media and also to show that I am innocent,” the letter reads. Whether by accident or not, Sanader’s decision to appear before the court in his own country came just a day after the European Commission proposed to the Council to close the last four chapters of the negotiations with Croatia, thus paving the way for the country to become the bloc’s 28th member state as of July 2013. Back then Croatian media said the reason was that Sanader knew he was going to be extradited to Croatia, but they did not rule out the option that he could come back to politics, which he left two years ago, to try and impact the election campaign. Commenting on the extradition, Croatia’s Foreign Affairs and EU Integration minister Gordan Jandrokovic said he was not afraid of Sanader’s actions. 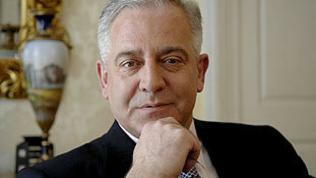 “It is logical that Sanader should come to Croatia as we have been expecting his extradition this week,” he said. Asked to comment the case by local journalists, Prime Minister Jadranka Kosor, Sanader’s ex right hand, said only that she hoped for a fast prosecution and for a fair trial. She declined to comment the opposition’statements that, as former deputy prime minister, she must have known what Sanader was doing. If you have a comment, please post it here. The field 'Nick' is not required. If you leave it blank, your comment will be named with 'anonymous' author. However you are welcome to register on our site and participate in our comments with your user name. news Is Hungary the Next Britain? If you don't want to change your current password, please leave blank next two fields. To save your changes, please enter here your current password.